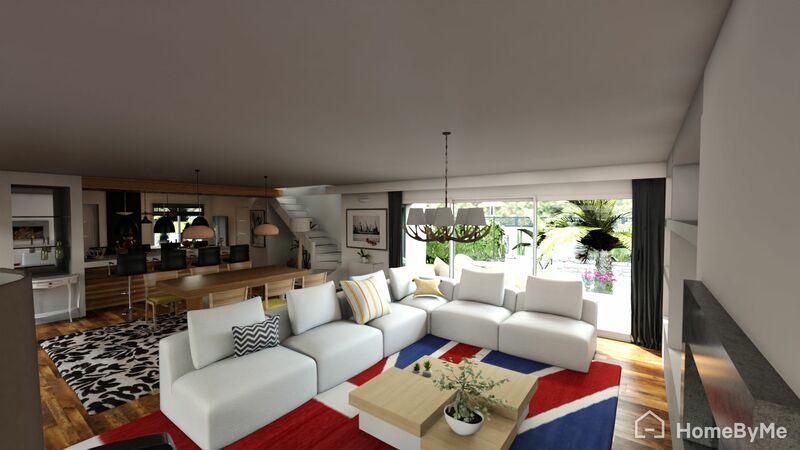 With bright colors and an open layout, this living room is the ideal space for entertaining family and friends. With an open floor layout in the kitchen, dining room, and living room, the space feels open and inviting with plenty of natural light. Looking next at the kitchen, Spaso incorporated a blend of tradition and modernity to perfectly align with the design of the living room. With wooden accents throughout the kitchen and a large central island – not only is this kitchen stylish, but it is ideal for preparing food! In the bathroom these wooden accents are also integrated into the design to fit with the rest of the home. 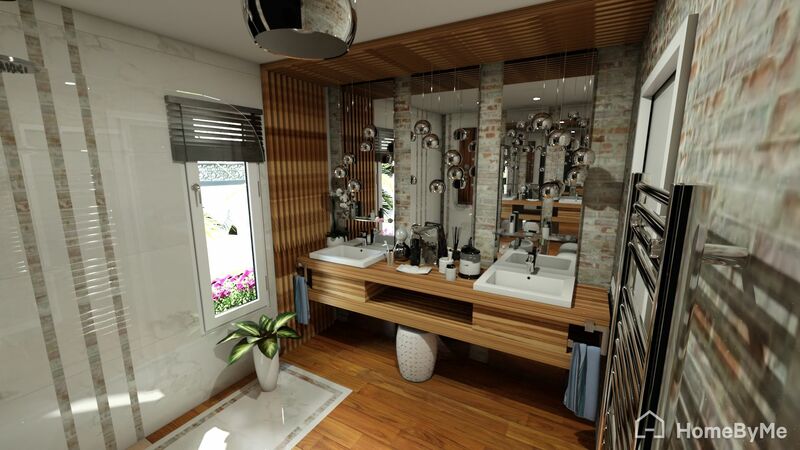 As an added bonus there are double vanity sinks which is a great use of the space! 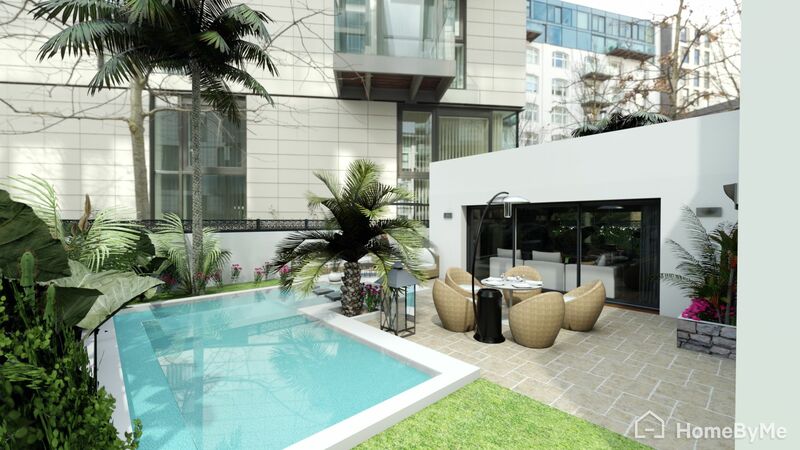 Last, but certainly not least, on the outside of the home there is a beautiful terrace and pool for either entertaining or relaxing after a long week! With a fun outdoor space to complete the home, this project has it all covered. Are you inspired by Spaso’s project? 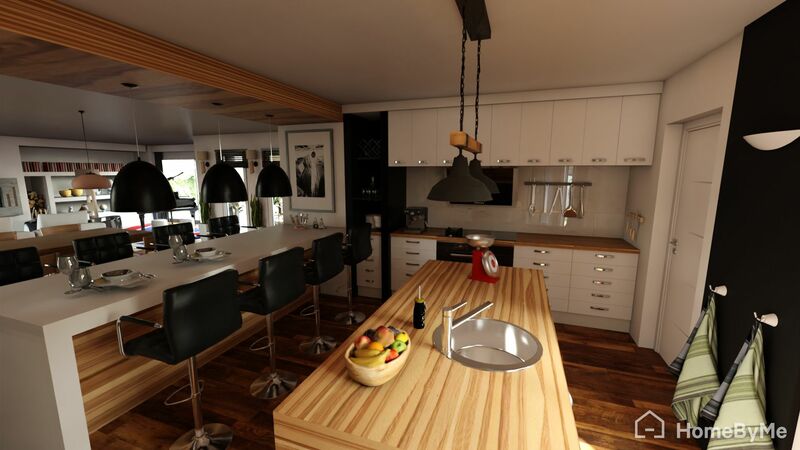 Learn more about how you can create your dream home with HomeByMe for free, here: https://home.by.me/en/my-services. Newer 🇬🇧 New English style products in HomeByMe 🇬🇧 Older Congratulations to the February Project of the Month Winner!